Welcome to the HPA eStore! High Performance Alloys is a distributor and secondary producer of super alloys. We offer many types and grades of exotic high performance metal alloys. These alloys may be high strength, corrosion resistant or wear resistant. We provide bar, sheet, plate, forgings, fasteners, formed angles and more. 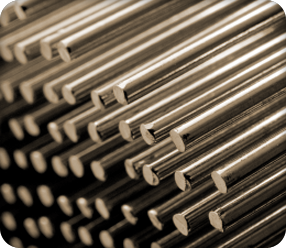 Our materials include Hastelloy®, Inconel®, Monel®, Nitronic®, Stellite®, L605 and pure Nickel grades. GFM Rotary Forge capabilities include the production of round, square and flat configurations for cold or hot worked materials. 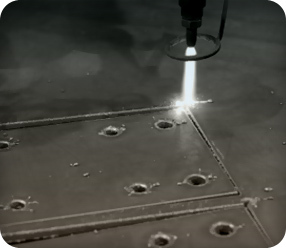 Dynamic Waterjet® from Flow provides an alternative to traditional techniques, particularly when materials are sensitive to high temperatures generated by these methods. Our waterjet leverages an output of 60,000 psi to cut almost any material - metal, stone, or composite - at up to 400% the speed of conventional flat stock waterjet cutting machines. Leveraging this dynamic technology, we can cut almost any material into any shape, leaving a smooth, near-perfect finish that meets aerospace standards. Please visit our Hoosier WaterJet website to learn more about specific services and to see some products that we have already manufactured. We have implemented materials into many advanced applications for the naval, aerospace and space industries, among others. We have expanded our range of production up through 12” diameter and 18” wide items via our in-house open-die forging of super alloys, Nickel alloys and super stainless items. Part sizes range from 20lbs to 3,000lbs produced in our Tipton, Indiana facility, which allows our customers greater scheduling flexibility and control. Whether you need one piece, mill quantities, or anything in between, we have a solution for you. If you cannot exactly match your requirements through the catalog, please do not hesitate to reach out. We can fulfill most custom manufacturing orders, including special items, grades and tempers. Require a custom plate or sheet size? No problem! As an experienced supplier and manufacturer of exotic alloys, we can also help answer technical questions and solve your corrosion, temperature and wear problems.